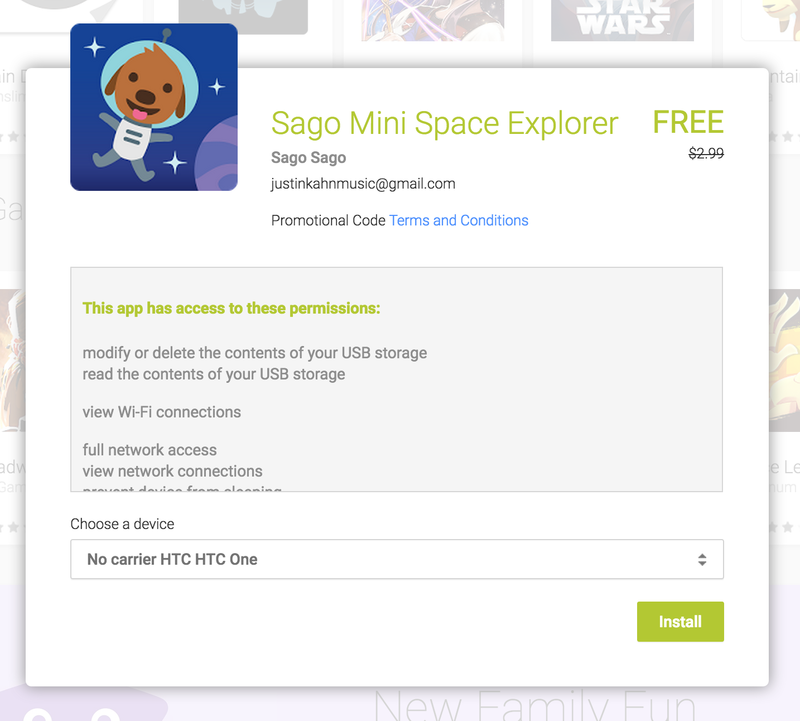 Google has selected Sago Mini Space Explorer as its Family Friendly Android App of the Week. It typically sells for $3 on Google Play and you can now download it to all your Android devices for free. This game is developed by Sago Sago, which has a number of 4+ rated kids apps available. Blast into space with Harvey the dog. Invite Harvey out to play among the stars and planets. Jet through space and discover dozens of delightful surprises. Make new alien friends, zip around in a flying saucer, meet the lovable hug-bot, and enjoy an interstellar picnic. This open-ended play experience is perfect for toddlers and preschoolers. Made with care, Sago Mini Space Explorer puts kids in control. Part of the award-winning suite of Sago Mini apps, the app is sure to bring smiles to your little one. Features • Use your finger to move Harvey through space • Guide Harvey to the yellow markers to uncover fun animations • Fly, dance, and laugh with Harvey and his friends • More than 30 fun animations to discover • Make up stories to go with the actions • Recommended for toddlers • No in-app purchases or third-party advertising, so you and your child are free to discover without interruptions! For all of the best deals on every platform, be sure to visit our daily game/app roundups.